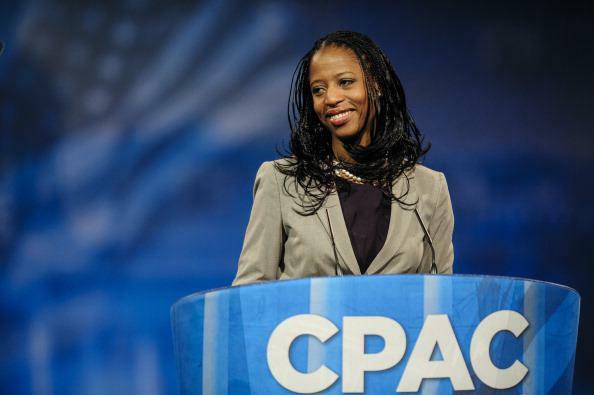 Mia Love, Utah: Black female Republican headed to House. Mia Love at the Conservative Political Action Conference in 2013. Love was making her second bid for Congress after falling to Democratic Rep. Jim Matheson by a slim 768 votes two years ago — despite having the benefit of Mitt Romney at the top of the ticket in a heavily Republican district. This time, Matheson, the only Democratic member of the Utah delegation, sat out the race, leaving Congress after 14 years. His departure made Love an immediate front-runner for the seat and left Democrats in a pinch. Love, the 38-year-old Brooklyn-born daughter of Haitian immigrants and a convert to Mormonism, spent seven times as much money as her opponent on the campaign, money that the Tribune says was raised from donors nationwide impressed by her speech at the 2012 Republican National Convention. Here’s that speech, in which Love discusses her biography and emphasizes a theme of aspirational immigrant self-reliance and hard work. Love was followed on the dais by Janine Turner, one of the stars of the 1990-1995 CBS dramedy Northern Exposure.